Ground Motive: Pluralism in a Multicultural Civil Society: Losing My Religion? Pluralism in a Multicultural Civil Society: Losing My Religion? I am honored to contribute to the generative conversation surrounding Lambert Zuidervaart’s recent work highlighting the nascent and formative value of reformational philosophy, past and present. I want to weave my own comments in alignment with the valuable remarks already made. Jonathan Chaplin’s detailed and probing analysis of this same chapter to which I am also responding covered the expanse of Zuidervaart’s argument and details, the promise and possibilities of his work, within the broader scope of political theory. Given such a lucid account of the theoretical poles of Zuidervaart’s argument, I feel free to make mine more narrative. In the analysis of the first chapter on social transformation Clinton Stockwell noted, “We live in a radically changing pluralistic world that is becoming even more urban, global and culturally diverse daily. So, how can I approach the question of what makes for a ‘good city’ as a Reformed Christian in the context of radical pluralism?” In my own contribution, I want to extend Stockwell’s query toward the question Zuidervaart points us toward in this second chapter on social transformation, namely, to what extent should religion be a part of the state, the public sphere, and is it good in these spaces? In this post I will flesh out such possibilities with the concerns of my own students and how to engage the dialectic Zuidervaart so aptly proposes. I suggest that Zuidervaart’s work in this chapter is most compelling because it analyzes religion broadly, or as a universal human phenomenon, and offers a distinctly philosophical engagement, resisting a facile public/private relegation of religion. Such a natural account of religion permits individuals and groups from an extensive array of religious and non-religious commitments to dialogue with his work. I offer such an engagement with the particular microcosm of my own institutional setting. Like Clinton’s multicultural neighborhood, I teach philosophy to disparate groups of religious and non-religious students at an urban two-year state college in Minnesota. With an average age of 28, our students speak over 86 different dialects, nearly half are Pell eligible (meaning they qualify in the U.S. as low-income) and one third are first generation college students. Like many of our growing urban communities, the diversity is truly global: Jews, Muslims, Hindus, Catholics, Protestants, Sikhs, Buddhists, shamanic practices, pagans, and atheist/agnostics all study, work, and collaborate on shared projects of social transformation via the institution of state sponsored higher education. Much of the philosophy of our department is centered appropriately on the concerns of our students, meaning our philosophical queries tend to contextualize the propositional nature of the discipline as embedded within issues of social and political struggle. I typically select readings and assignments that probe critiques of institutional racism, sexism, classism, post-colonialism, global inequity, environmental justice, mass-incarceration, GLBTQ rights, Islamophobia, and the rights of global migrants. In other words, we investigate the ways that “let suffering speak,” particularly injustices that the state’s power and purview complicate. Even in a state as “nice” as Minnesota, my students typically do not agree on the problems or solutions to these issues and concerns, and inevitably, they vary in their commitment that religion could be part of any public benefit. Even in a state as “nice” as Minnesota, my students typically do not agree on the problems or solutions to these issues and concerns, and inevitably, they vary in their commitment that religion could be part of any public benefit. Recently a student stated, “Religion is intrinsically oppressive, irrational, and dangerous.” Another added, “There seems to be something especially wrong with the Christian religion in particular.” While I disagree, I can sympathize with these remarks. We had just concluded a unit on the Dakota genocide and the role of Christian missionaries in separating Dakota children from their parents; these same missionaries quipped that they needed to beat the “savage” out of the children in order to “save” their souls. Even the mention of religion and students may reflexively regurgitate the new atheist’s familiar warnings of institutional religion as a “dangerous meme” citing well-trodden examples: its collusion with colonialism and empire building; its justification of slavery and sexism; its decidedly homophobic stance; its lackluster response to environmental degradation; violent conflicts like the crusades, the Israeli-Palestinian conflict, and the Bosnian genocide; and fanatical movements such as Jonestown, Boko Haram’s abductions, and the ISIS caliphates. Zuidervaart’s characterization of religion acknowledges Hegel’s notion of inwardness or subjective rationality (as opposed to the objective rationality Hegel associates with the state), but he adds, religion is also “a distinctive array of or practices and organizations . . . already institutionalized . . . they are thoroughly intersubjective” (238). The intersubjective quality of religion moves it beyond the personal and the private. Given this conception of religion as intersubjective, I am wondering if Zuidervaart’s religious intersubjectivity entails a rationality of its own—an intersubjective rationality or “logic”. Could this intersubjective rationality necessitate an objectivity of its own—namely, good ethics? Philosophers like Emanuel Lévinas and Luce Irigaray have highlighted the intersubjective and ethical capacity of religion, its ability to recognize others as subjects in their own right, and the respect for others that an intersubjective religion ought to augur. Zuidervaart engages the social and cultural quality of subjects with or in the world as a normative feature of religion. Therefore, he lifts religion away from its “other-worldly” caricature and normativizes it as a human phenomenon, such that religiously diverse people can critically engage it. But he does not leave religion as a mere sum of human behaviors. He distinguishes between spirituality and religion, situating the former as “the all-encompassing orientation or direction of people’s lives and of their culture and society” (239). This kind of religion, he clarifies, shows up in institutional settings, even religious ones, but is broader and less distinctive, helping us answer questions like what is important or what matters most? But the latter, religion proper, he suggests is “institutionalized worship and faith . . . practices and organizations that have their own legitimacy and worth in relationship to other institutions” (239). This kind of religion doesn’t just show up in institutional settings (like religious ones), it intersects or is an institutional contender with other organizations (such as kinship, economics, economy and education). Moral psychologist Jonathan Haidt also frames religion as a human or cultural phenomenon of evolutionary adaptation. His work focuses more on the sense of religion Zuidervaart terms “spirituality” and Haidt records how insights from human anthropology, evolution, and social science could explain religion as an occurrence of group or cultural adaptation, rather than a pathological meme. As Haidt explains in his popular Ted Talk, religion may be a way we have evolved our human compulsion to move from ordinary secular individualism toward a sacred transcendence of shared cooperation and collective goods and aims. In his framework, Haidt offers a way to accept the evolutionary nature of what Zuidervaart terms spirituality, but does not indicate a way that these spiritual organizations could cooperate or integrate properly with the state’s other institutions, which also have “spiritual” senses. When my students discuss Haidt’s conception of religion, they nod their heads in agreement that they are surprisingly religious or spiritual. Many acknowledge this profound drive to experience transcendence, but balk at religion’s traditional gateways for communal association. Others are excited to hear a voice of legitimacy within the academy for their religious identification. But when associating religion with the state, they commonly fear the other religion’s overreach, the other religion’s inwardness, and the other religion’s lack of objectivity in regard to its ethical accountability. This is the value I understand in Zuidervaart’s contribution, a precise and limiting account of religion proper. Yet, I also wonder about religion as a “worshipful disclosure of the source of ultimate sustenance” as ultimate claims are precisely what can negate good ethics. How do we navigate the dialectic of ultimate claims and the ethics of intersubjectivity? I suggest Zuidervaart helps navigate this tension when he writes that disclosure and claims of religion may be more than propositional. If religion’s formation isn’t merely driven by its own propositional teachings and dogmas, then it can respect the intersubjective sustenance associated with the “face of the other.” As Irigaray suggests, religions could be ethically accountable based upon non-discursive propositional claims, like breathing well with others. The universality of treating well all the bodies upon which our ultimate claims, rituals and practices affect, can be heard. The spiritual song of the bird, the disclosure of the humming bee, or the hiss of the snake may also point us toward the shared earth as a communal source of ultimate sustenance for many of the earth’s most precarious inhabitants. Zuidervaart describes this as, “holding open possibilities for greater interconnected flourishing in the contemporary world” (243). He suggests that the dialectical relationship between religion and the constitutional democratic state has positive value, in that the state provides political and legal integration for distinct religious organizations. He offers three ways the state addresses public justice: protecting plurality of distinctive institutions, adjudicating claims of cultural pluralism, and protecting individuals from injustices at the hands of other or ensuring no one is bereft of state benefits afforded to them. His argument helps make sense of how to maneuver through difficult spaces where these institutions might collide. As I return to my students, one cursory example of such tensions that they raise is the hijab in the public space. They choose to debate this cultural garment as a symbol of the difference between religious values and the freedoms associated with western secularism. One student declared the hijab oppressive, an example of religion wrongly pressing women into ancient practices and rituals of modesty. But another student acknowledged that the state should protect a woman’s right to wear the hijab as the garment could mean a multiplicity of things to the women who wear them, including social and political differentiation from a western capitalist consumer fashion industry whose environmental and economic consequences overwhelmingly damage the lives of poor people in particular. The state's job isn’t to demand that people wear the hijab (although it may make claims of public decency), but it may be to ensure the freedom or right to do so. Even so, many of my students agree to at least a benign “presence” of religious difference, but chafe at the thought of religion influencing the state. This is the other side of dialectic—how can religion benefit the state? In this regard I appreciate Zuidervaart's prophetic depiction of how the dialectic tensions between religion and the state can benefit the public sphere. With legitimate public space he suggests religion can undertake a “critical freedom to envision what justice requires, to resist state sponsored injustice, and to lend a voice to the marginalized and oppressed in society” (243). Indeed, it is religious people’s distinctive faith practices and worship that may point them toward peculiar questions of flourishing and the interconnection they share with all, the vision beyond the state’s mandate. As Zuidervaart highlights, It is precisely religion’s unique discursive domain to articulate collectively utopias and dystopias (justice and injustice). This propensity to imagine new horizons of justice, to be dissatisfied with the personal or communal status quo, makes possible a religious community’s proficiency to be with and speak out on behalf of those who are marginalized by the state’s, at worst, imperious power, or, benignly, bureaucratic machinations. While Ziudervaart’s examples seem to ring true with a Muslim sense of justice, or a Jewish notion of shalom, my pagan colleague rebuts, but they (institutionalized religions) hardly ever do this work of religion with the interconnected flourishing of all. How will this theory help us when religion runs roughshod daily? And this is why my students often turn to what Zuidervaart observes as the “social economy” of civil society, “an economy to which considerations of solidarity take precedence over efficiency, productivity, and maximal consumption” (245). The social economy is many of my younger student’s religious space. Several of the Millennials in my courses buy into the notion of the social economy and long to push the world in directions that make sense of the absolute freedom, gutted of any strict meaning, that they are offered. Adrift, isolated, and technocratically consuming and consumed, they may be longing to find meaning, real connection. Zuidervaart claims that religion may aid them as an incubator and a disturber of civil-societal patterns. As an incubator this often surfaces as my students “experiment” with a number of religious practices, synthesizing them to explore their burgeoning social values. My students are drawn toward practices of mindfulness to help improve their sense of grit and challenge institutionalized education’s emphasis on the “right” answer; they practice yoga to align their chakras and to lower their anxiety so they can attend to virtues like simplicity; and they join their Muslim friends in Ramadan fasting, giving to the poor in their own circles of friendship. As disturbers of civil-society, my Muslim students may jihad against gender injustice, Islamophobia, and institutionalized racism. They understand their protest to be intrinsically tied to their identity as Muslims honoring Allah. My Christian students might begin protesting environmental consumption that leads to suffering (human or not). My non-religious students wonder how religion can do such good, as in these cases, and also do such evil (as in the former examples). They don’t trust its institutionalized character. But it is the appeal to a social economy, as Zuidervaart describes, that may woo them. Many of my students have argued for such a space as the best chance for a just society. As poorer college students at the margins of higher education, they understand that the economy does not have a just orientation. But they also acknowledge the complication of that economy coming from the state. The irony of Zuidervaart’s suggestion that this economy could be sourced with religious communities and civil groups means the public sphere could gain what they so desperately desire—an economy beyond market aims. But which bodies receive these economic benefits? If only religious ones do, then the benefit is unjust. While there are tensions between religion and civic-sector organizations both could cooperate to sustain these more than market economies. In this arena, religious communities would have to lean heavily on the intersubjective quality of religion, meaning it must be open to the broader community writ large. I wonder if religions are ready to forge these agreements. This is probably the greater work that must be done—how to bring together religious groups, especially privileged ones, away from their position of social dominance and work cooperatively with disparate groups in order to secure a greater social economy for all. The irony of Zuidervaart’s suggestion that [a state] economy could be sourced with religious communities and civil groups means the public sphere could gain what [my students] so desperately desire—an economy beyond market aims. Finally, he concludes with a warning against the kind of anecdote my husband often laments from his childhood—the politicians dancing across the religious stage, aligning their words with the creeds of that body, while generally denying benefits and rights to the bodies who do not affirm these credos. Zuidervaart offers a lively challenge of “authentication of religious truth” that is invitational and public. Such an authentication moves beyond protecting one’s own discursive justifications and toward democratic communication. What more could my students need to satisfy their concerns that religion belongs legitimately within the purview of the state and can aid civil society? Namely, that they don’t “feel” the force of this theory. The motions of religions are overwhelmingly negative. But as I teach and share insights like the ones Zuidervaart details, I hear a shifting tone. One student confessed, “Perhaps I have been as judgmental of religion as I assumed it was of me.” I suggest that Zuidervaart’s work on this chapter is imperative, not only to legitimate and secure the space of those who want to develop a co-relationship of religion with the state and civil society, but also, so the members outside religion can orient themselves rightly to the joys, intimacy, and justice that religious communities, with their best senses, ought to offer. I am of course highlighting Zuidervaart’s deployment of Adorno’s quotation in his epilogue of this same book, which was also his inaugural address at the ICS. As a sidebar, I am pleased to say, I was in the audience listening with the ears of a junior member at the ICS in 2003 (317). For more on the Dakota genocide see Angela Waziyatawin’s account of wasicu invasion and her argument that imperial American settler society and the U.S. state and federal government have violated the human rights of indigenous persons. See Angela Cavender. Wilson, What Does Justice Look Like? : The Struggle for Liberation in Dakota Homeland (St. Paul, MN: Living Justice Press, 2008), 1-70. Richard Dawkins began calling dangerous or toxic ideas that become self-replicating “memes” and Daniel Dennett extends the analysis of religiously living ideas in excess of human rationality which spread throughout culture. See Daniel C. Dennett, Breaking the Spell: Religion as a Natural Phenomenon (New York: Viking, 2006). For general examples of the religious ethics of these philosophers see Emmanuel Lévinas, Totality and Infinity; an Essay on Exteriority, trans. Alphonso Lingis (Pittsburgh, PA: Duquesne University Press, 1969); Luce Irigaray, Luce Irigaray: Key Writings (London: Continuum, 2004), 145-194. See Jonathan Haidt, The Righteous Mind: Why Good People Are Divided by Politics and Religion (New York: Pantheon Books, 2012), 292-6. In my thesis I outline how to deploy Irigaray’s animal compassion toward a practical ethics of environmental sustainability and religious inclusivity. See Ruthanne S. Crapo, "The Way of Love: Practicing an Irigarayan Ethic" (Doctoral thesis, Vrije Universiteit, 2016), 233-86. For a fuller account of this argument see Sa'diyya Shaikh, "Transforming Feminisms: Islam, Women, and Gender Justice.," ed. Omid Safi, in Progressive Muslims: On Justice, Gender and Pluralism (Oxford: Oneworld, 2003), 147-162. For a pertinent example of this question see the Supreme Court ruling on Equal Employment Opportunity Commission v. Abercrombie & Fitch Stores, Inc. (2015). 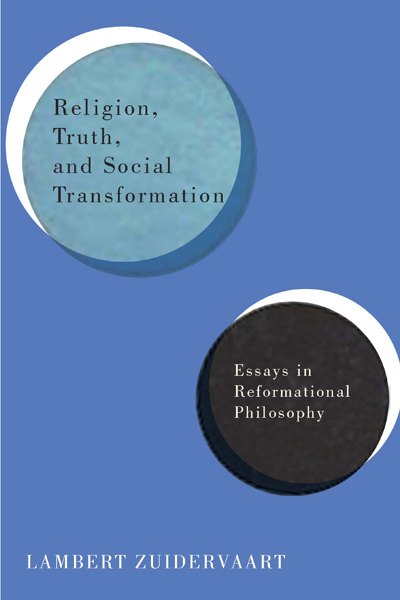 Ruthanne Crapo studied philosophy with Lambert Zuidervaart at the Institute for Christian Studies and had the privilege of learning with many of the contributors to this series. She recently defended her doctoral thesis at the Free University in Amsterdam and teaches and lives in Minneapolis with her spouse and two children. Just wanted to say that I really appreciate this thick narrative, especially as it pertains to the impact the understanding of faith and religion you learned (at least in part!) at ICS has on a pluralist student body. Good stuff!